Many German cars, and most BMWs, don’t have dipsticks and haven’t for years. They’ve been replaced by sensors and systems that will give you a dashboard warning if anything seems awry. Because if you’re paying $70,000 for a car you probably don’t want to get your hands dirty. But! BMW confirmed that the V8 in the new M850i will indeed have one; a throwback to the days when cars were crappier and it was sensible to check your oil every couple of fill-ups. To be sure, most non-luxury cars still have dipsticks these days, though luxury brands increasingly have eschewed them, a trend we first reported on over eight years ago. My colleague’s 2002 Mercedes C-Class sedan doesn’t have one, for example. But new M850i will have one, something first spotted by a forum user at Bimmerpost (click through for the photo evidence.) I confirmed that info with a BMW spokesman, who I’m told was as surprised as we were. 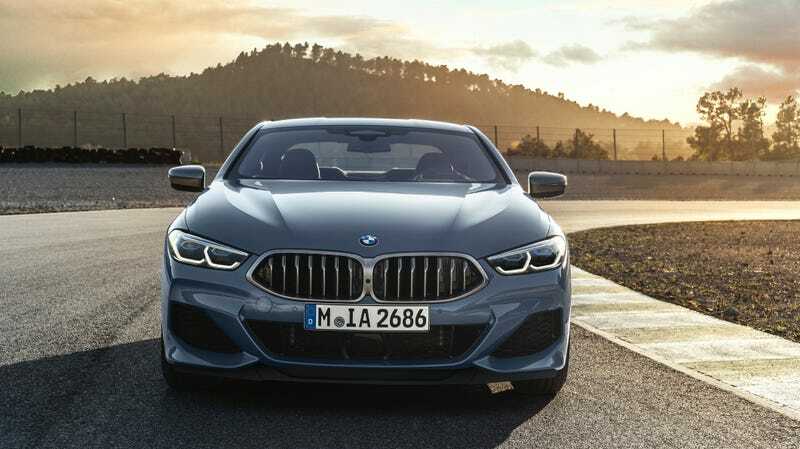 The M850i uses a new engine, a (claimed) 532 horsepower V8 that replaces the N63 that BMW used in its higher-powered 5 Series, 6 Series, and 7 Series models for years, and which was dipstick-less. BMW didn’t say if the dipstick meant that the sensors and dashboard warnings would go away. I imagine not, since nothing says non-luxury like checking your oil the old-fashioned way like some doofus. You should try though, as it’s a simple method, and it works.